This is a different type of painting for me. I typically have not painted subjects in the fantasy genre. 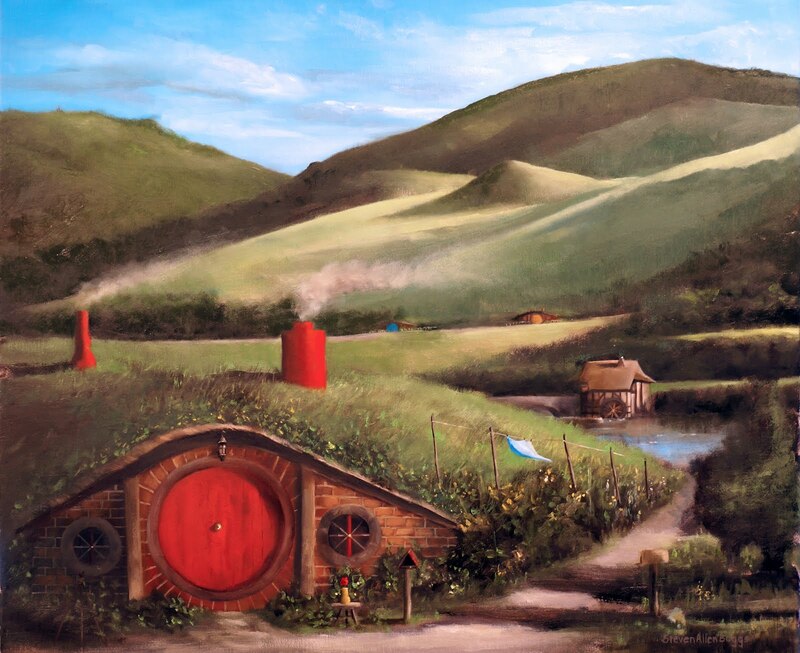 However my son and I both are fans of Lord of The Rings and The Hobbit, and he wanted a painting of Hobbiton. As it turned out this was a fun painting to create. I used numerous photographs that I compiled as reference and then basically created the painting from my imagination. I hope that you enjoy it!